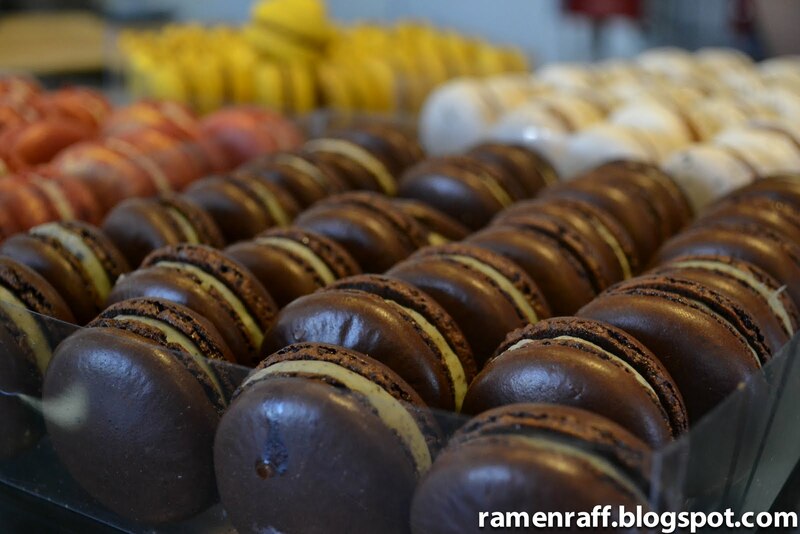 Who loves macarons? 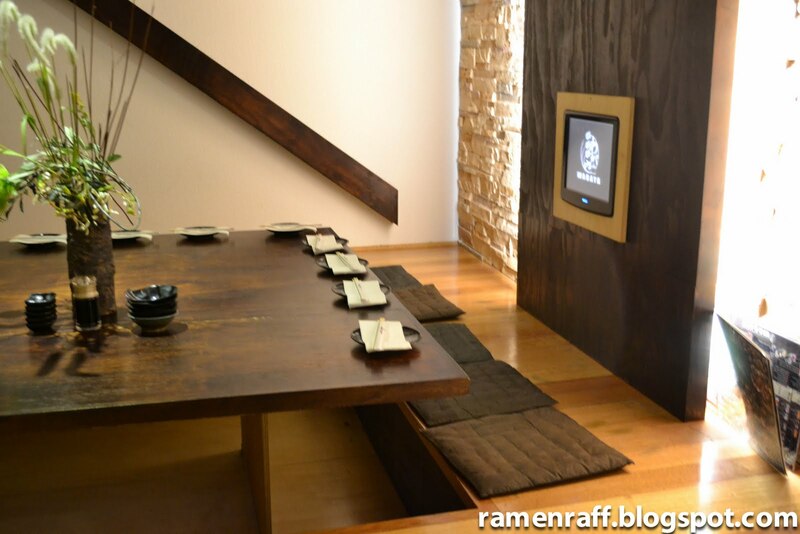 Ramen Raff does! And so does the Ramen League. Tonkotsu Bexx, Karaage Carmen, and I (Miso Scott missed out big time!) head to Baroque Bistro, Bar and Patisserie for lunch. It is home to the best macarons in Sydney. 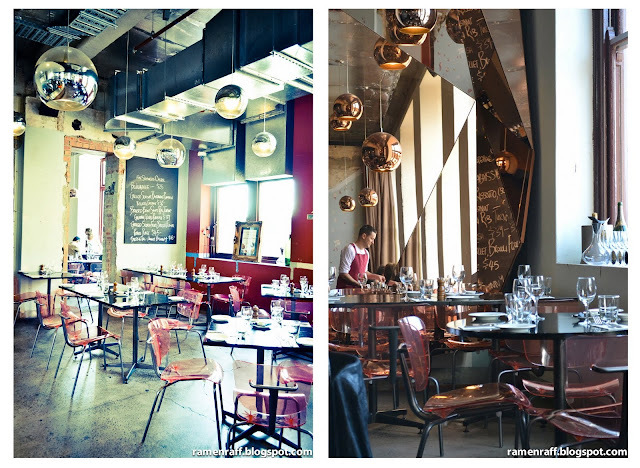 Baroque Bistro is an establishment brought to us by the Charkos family of La Renaissance Cafe and Patisserie. 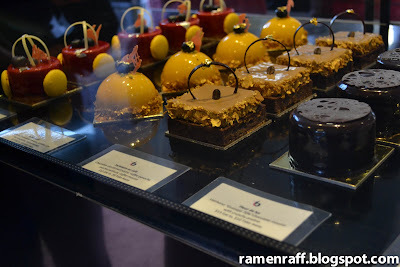 I find that for some reason, most people who love Japanese cuisine also has similar feelings towards French cuisine. What does both cuisines have in common that makes them popular in the culinary world? Could it be the freshness and combination of ingredients, the techniques used, the presentation, and perfection in its simplicity? We were warmly welcomed and greeted by the maître d'. But it wasn't just the maître d' that warmly greeted us, so did the beautiful macarons and other masterpieces from the pastry kitchen. 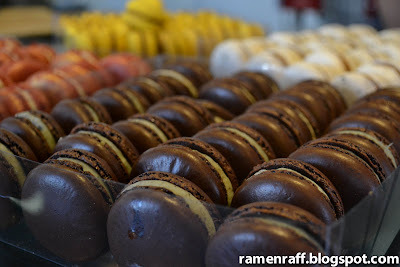 My absolute favourite macarons are the salted caramel and black truffle macarons. Baroque sets a relaxing and yet sophisticated ambience. 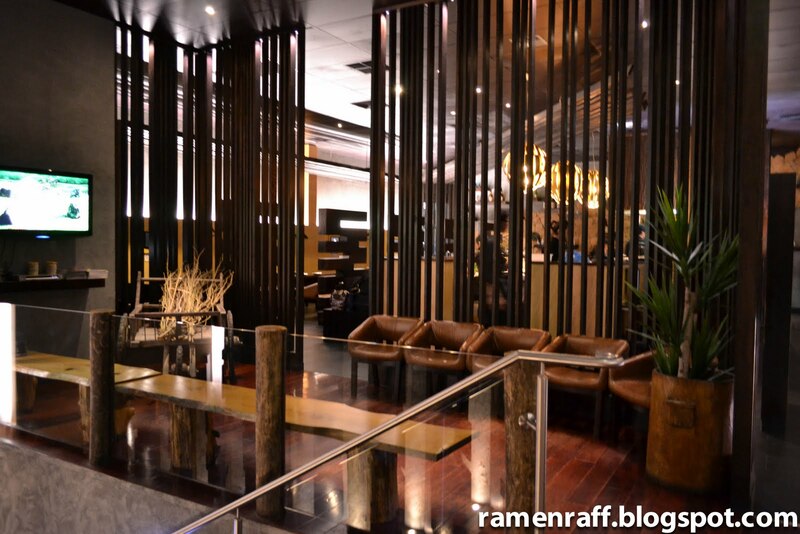 The decor is very modern and also European which reflects the essence of The Rock's old & new Euro vibe. 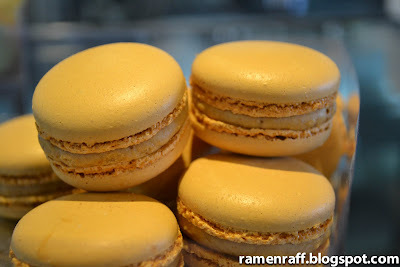 For almost a year now, I have enjoyed the comfort of their macarons, pastry, and excellent coffee. 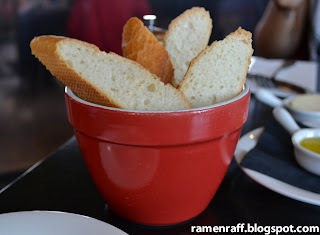 It was not until a recent lunch trip that I was able to try the Bistro menu. 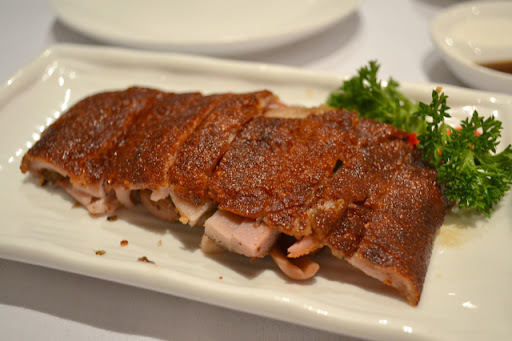 The confit of bangalow pork neck was very tender, moist and packed with its natural savoury taste. The mussel and lovage emulsion gently presents to my mouth freshness and sophistication. The slight smokey and sweet flavour from the garlic and charred leeks complimented the natural and gentle taste of the dish. It was a moment of absolute bliss. I enjoyed each bite. The bouillabaisse is a mix seafood dish in a fishy broth. The colour itself was very enticing. 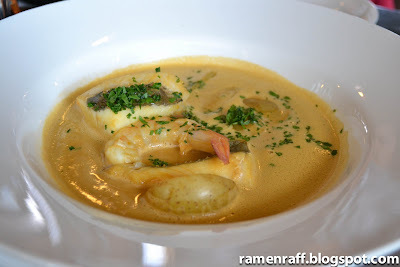 The broth had a light cream texture with a mixture of mussel and fish flavour. 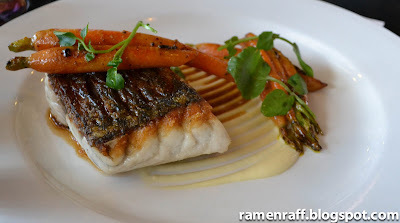 The barramundi, vadouvan, heirloom carrot, soubise, chicken vinaigrette was too beautiful to even tamper with. It was perfectly cooked and was very moist inside. We ended our lunch affair with a cafe and champagne gourmand. 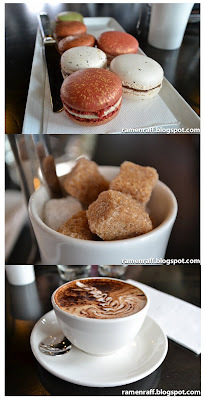 The skinny cappuccino was good as usual. It was strong, smooth and frothy. The macarons had a delicate shell with a ganache that’s a little bit chewy. 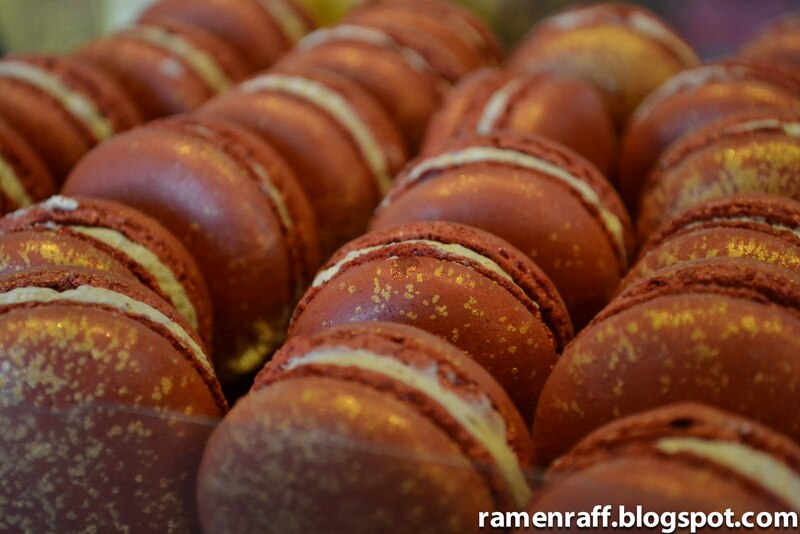 Amongst the macarons were two of the winter range, the pear & chestnut and chai macarons. 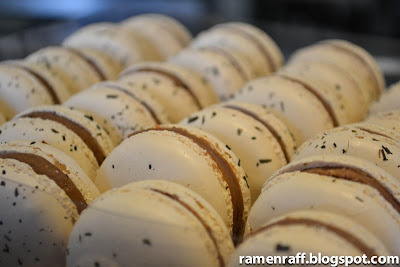 The pear & chestnut macaron had a light citrus and nutty taste. The chai macaron was superb and had a well balance tangy, sweet, lightly spicy taste just like a chai tea. 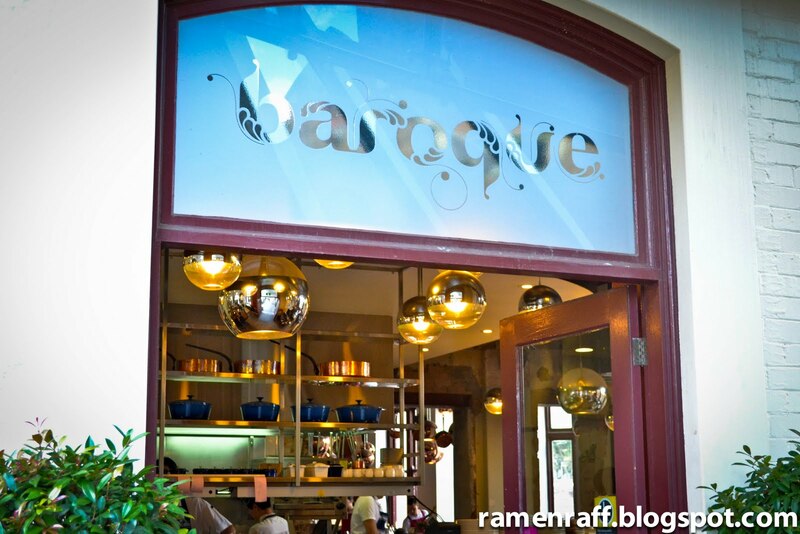 Baroque Bistro, Bar & Patisserie is an establishment that is sure to last for many years. The food is absolutely amazing and reasonably priced, the customer service is exceptional and a location that is iconic. Truly deserving to be amongst the iconic landmarks of The Rocks. My lunch at Baroque bistro was amazing and the food was yummy for my tummy. How’s yours? 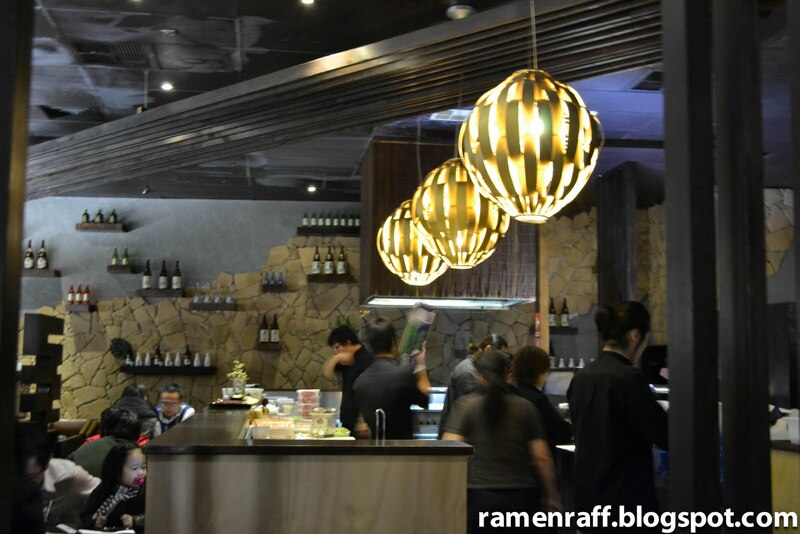 For Mr and Mrs Ramen Raff, there can never be too much Japanese food. 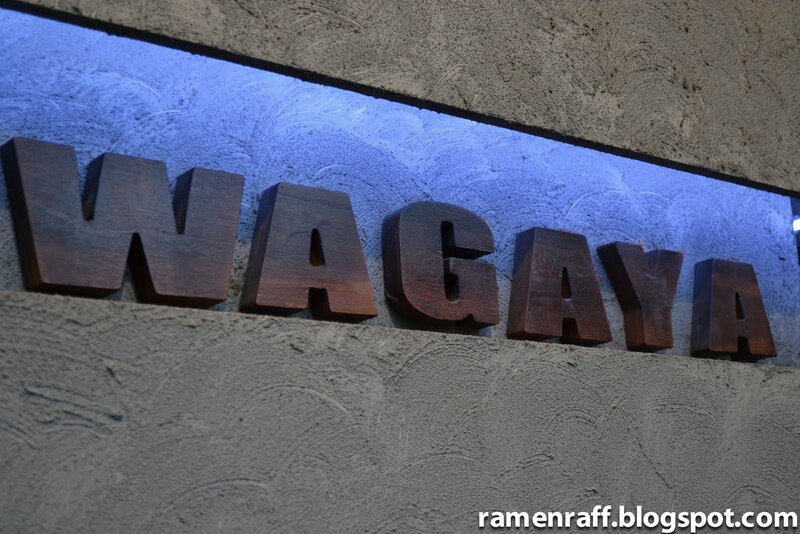 We love it and we certainly love Wagaya. This was our second visit to Wagaya within 2 weeks. 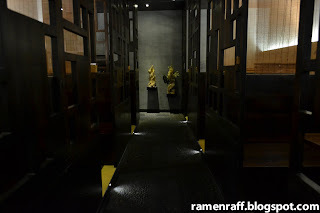 When we had a taste of what the Wagaya fuss was all about, I just had to take our family with us to experience it. 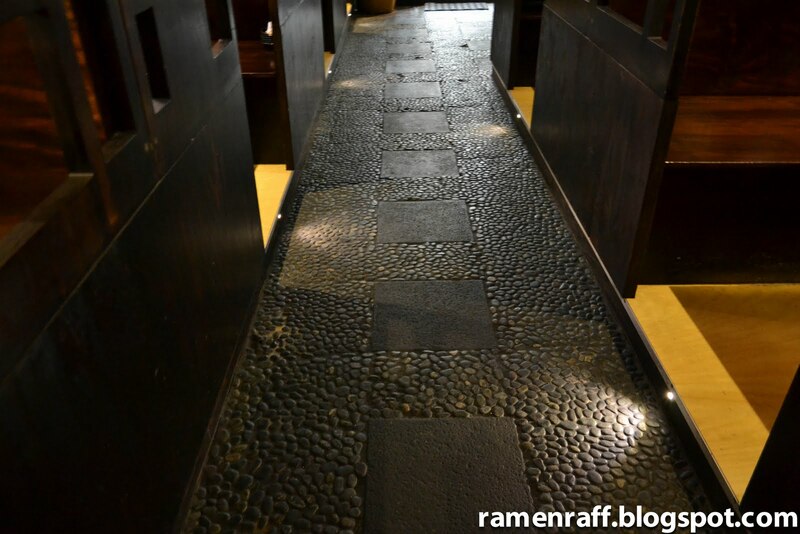 I love the decor and architecture at this izakaya dining place. It was modern, clean and sleek. 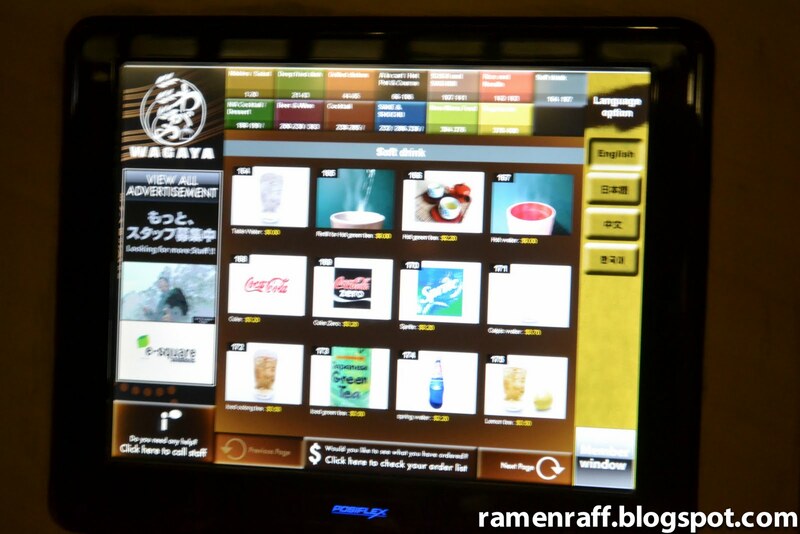 What I love most about Wagaya is the food and the touch screen ordering system. 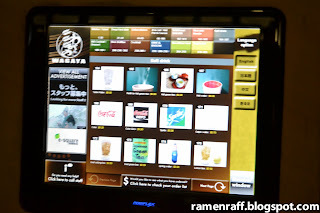 You pick your order from a touch screen and the food is served almost in an instant. I swear, it was fast! 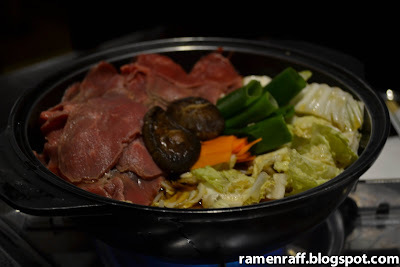 First served was my all-time favourite sukiyaki. 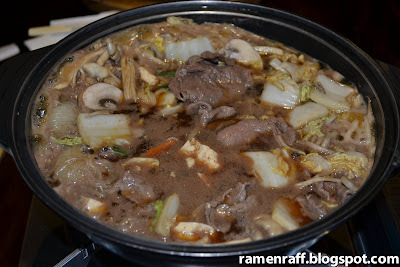 A hot pot with mix vegetables, thin noodles, tofu, and slices of beef in a sweet and salty broth consisting of soy sauce, dashi, mirin, and sugar. The taste brings me back to my childhood days when I used to enjoy a sukiyaki with my grandma back in Manila. The Wagaya version was just as good. The sweetness was just right and the fishy taste from the dashi in the broth was not overpowering. The serving was pretty generous too. I highly recommend this dish. The tempura prawns were cooked up to standard. The batter was light, slightly crunchy, and dough-like. 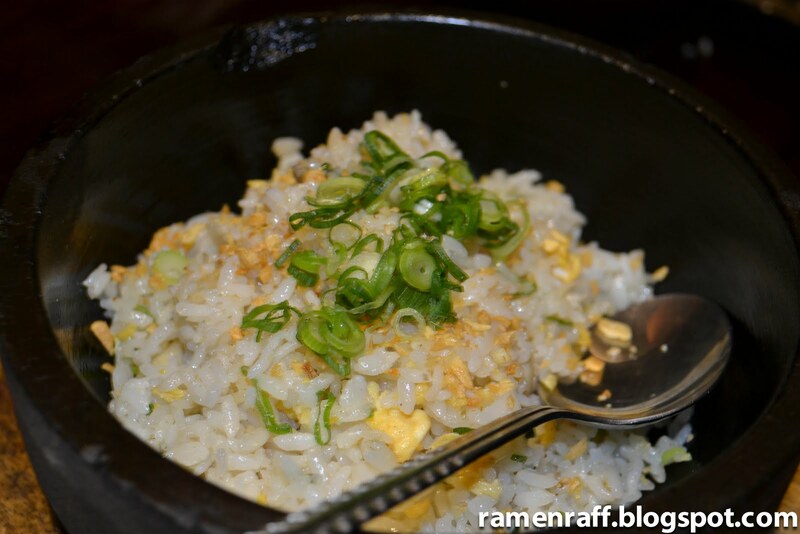 The scallops and garlic fried rice was amazing. It was served in a hot stone bowl. The dish has a lively yellow colour, a taste to remember and scallops mmmmmm. 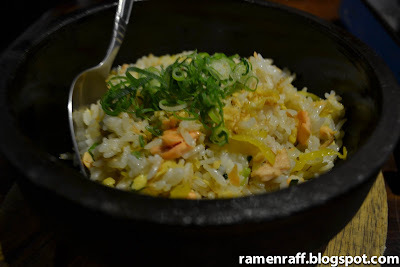 The salmon fried rice, was also served on a hot stone bowl. This is a must for salmon lovers. It was slightly sweet and salty. 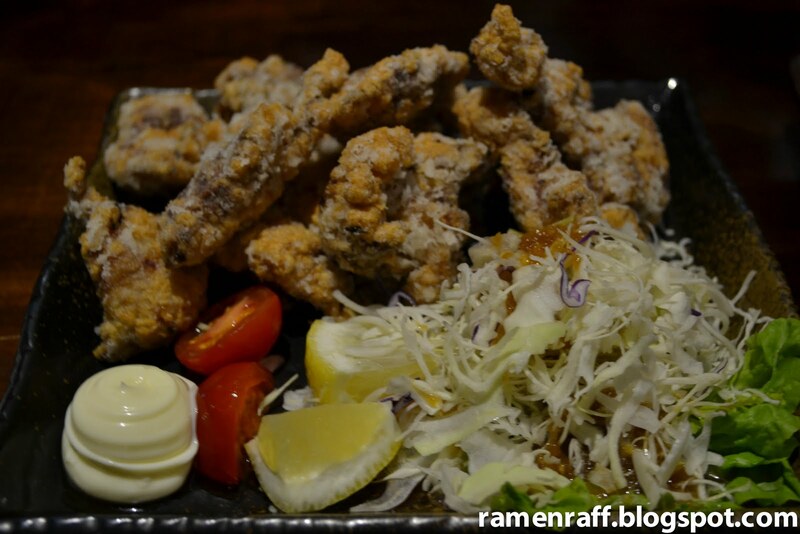 The karaage chicken is a classic. Crunchy on the outside while slightly salty with a hint of ginger on the inside. 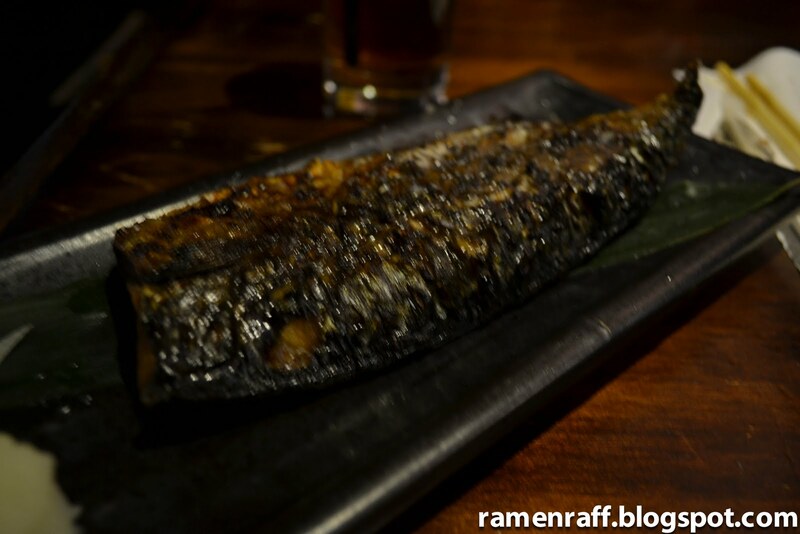 The grilled fish looks very traditional. It was perfectly cooked inside and grilled to crisp. The ice green tea latte was just sublime. It had a more milky and slightly sweet flavour. 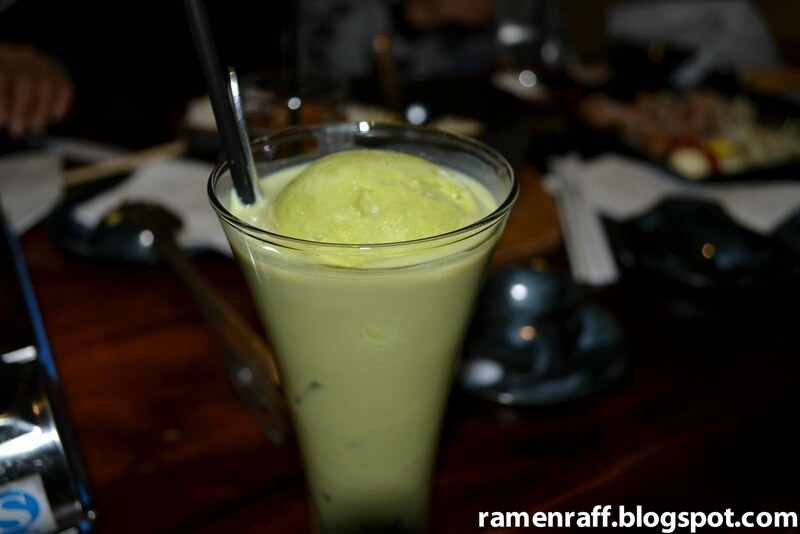 The scoop of green tea ice cream brings the whole drink together. My verdict? The food at Wagaya is very yummy for my tummy! A trip to East Ocean for Yum Cha was long overdue. My wife and I decided to hit this joint for a Sunday brunch. The roast suckling pig, is one of my weaknesses in life. It was delicate and lethal with suckling taste. In my opinion, nothing beats the texture and crunchiness of a suckling pig crackling. The pork ribs with black bean sauce here is one of the best that I’ve had. The taste of black bean was present but subtle. It was succulent and full porky goodness. 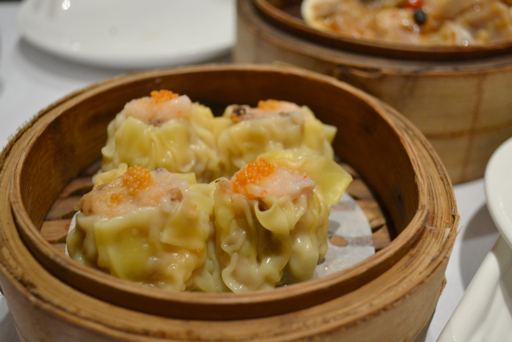 Pork dumplings with crab roe (siumai) is a classic must have in any Yum Cha. I could devour these dumplings all day long. 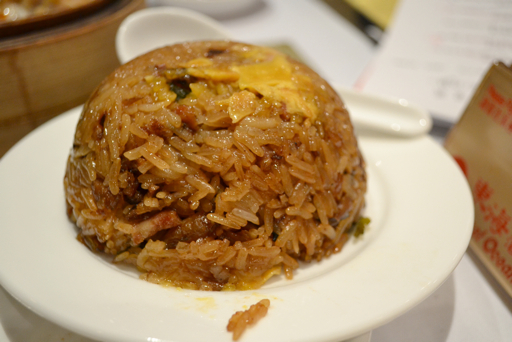 The Stir fried sticky rice with dried sausage was very filling. One serving was enough for me. 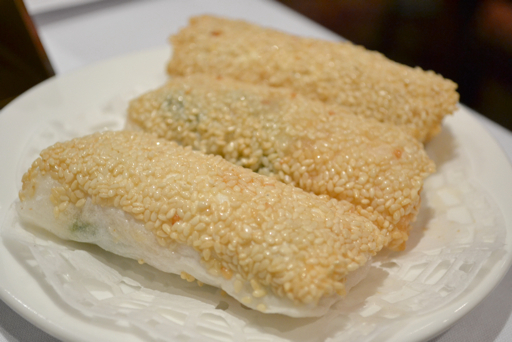 A new addition to our choice of Yum Cha items is the rice paper wrapped prawns with sesame. Compared to other rice paper wrapped prawns that I’ve tasted in the past, East Ocean’s version has more filling and flavour. 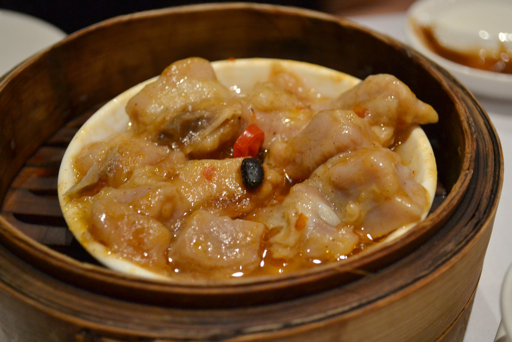 This will be a permanent to our list of “must be ordered yum cha items”. 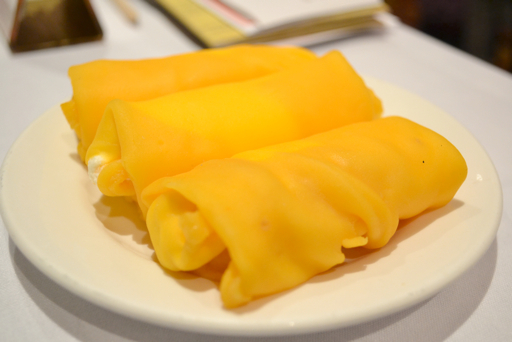 Mango and cream pancake rolls was the last item. The combination of mango and cream had a very refreshing and tropical taste. The cream complimented the mango well. Whilst the pancake that it was rolled in had a delicate soft texture. Just before ending our Sunday in town, we decided to go to Passionflower near Town Hall station on George street. 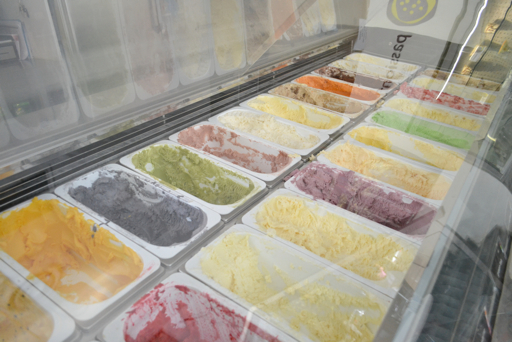 No matter what time of the year, it is never too warm or cold for an ice cream. My wife ordered the black sesame ice cream in a waffle basket. It wasn’t just a pretty looking ice cream. It also tasted pretty damn good. 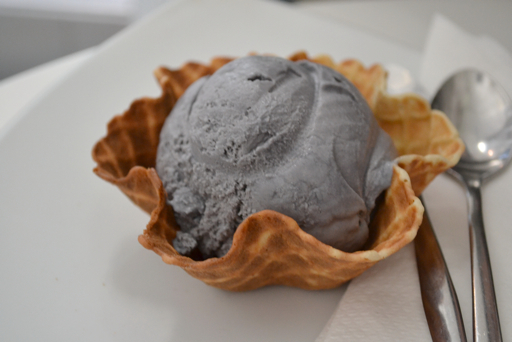 Infusing black sesame into ice cream is genius. 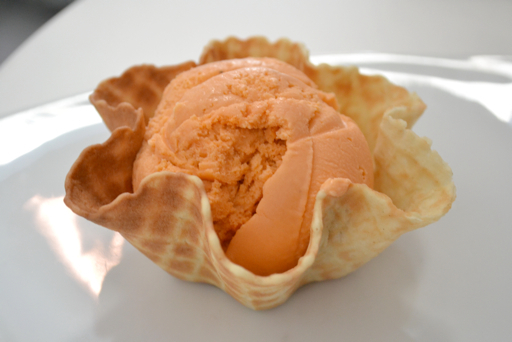 I went with their thai tea flavoured ice cream. This will definitely be one of my new favourite ice cream flavours, which I will frequently order. It tasted exactly like my favourite Iced Thai Tea drink. I’m looking forward to my next visit to East Ocean and Passionflower to have their food that is yummy for my tummy. 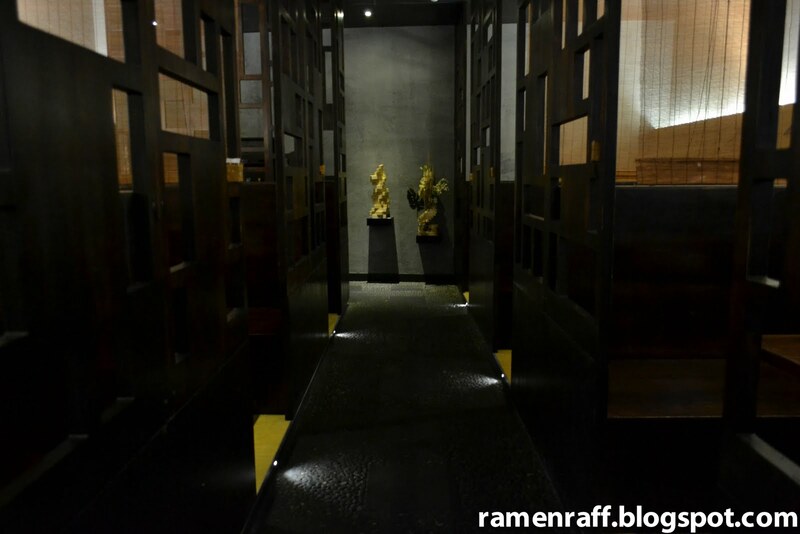 Yes, I have an obsession over Japanese cuisine and it excites me especially when it is fused with another cuisine. You might ask, what is it with Japanese food that I love? Everything! Over the years, Japanese cooking has always strived for perfection. At the sophisticated Kobe Jones in King Street Wharf, they do the fusion of Japanese cuisine with a California twist perfectly. Not only is the food great, but their decor and water views are amazing. 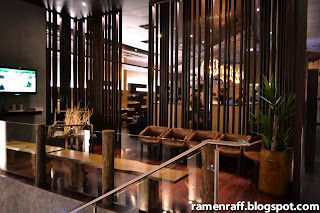 Suitable for a romantic date, business lunch/dinner, a casual hang out with friends or a fancy family gathering. 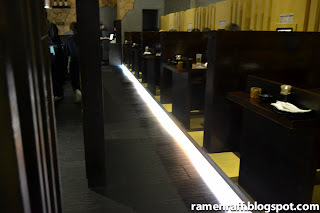 Back to the food, we visited Kobe Jones with a mission of taking the Perfect for Two journey. Their Perfect for Two is not only perfect for two people dining, but also, perfect as a 7 course menu. I believe that to enjoy food, you have to enjoy it with all five senses. The Perfect for Two menu kindles all five. The food tastes good, it is nicely presented, an aroma that is very inviting, an interesting texture and the sound of sizzling wagyu beef (need I say more?). First up, we were served with a baked Crab salad. It looked so nice that I could just stare at it with amazement for hours. It looked liked an ice cream but certainly did not taste like one. The crab salad and hiramasa kingfish with avocado baked in Kobe Jone’s special sauce was like a creamy dish baked in heaven. Next, we were each presented with a seafood plate consisting of a Seafood Poke, Anago Scallops, Oyster Shooter, Lollipop Sushi, and a Dynamite Tuna Hand-roll. The taste was so refreshing, delicate and light. The Seafood Poke, a Hawaiian style sashimi cubes marinated in poke sauce. The Anago Scallops are tempura Hokkaido scallops with a crab salad and asparagus, drizzled with a bittersweet soy sauce glaze. 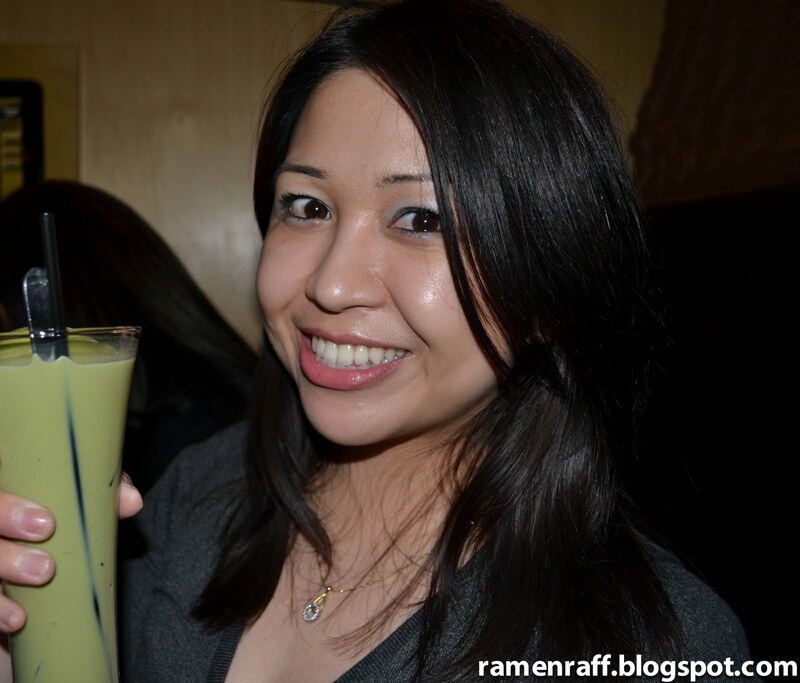 The Oyster Shooter is oyster in a shot glass with a mango infused sake. The Lollipop Sushi is tuna, snapper, crab salad, asparagus and smelt roe, wrapped in thinly peeled cucumber with soy sauce vinaigrette. The Dynamite Tuna Hand-roll is a seaweed cone filled with rice, raw tuna, tomago and a touch of chilli. After that, The Seafood Tempura plate came out. It consisted of king prawns, tuna and oysters served with a dipping sauce. 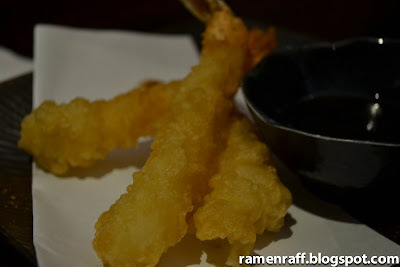 The Tempura king prawn was my favourite. The crunchy batter, fresh prawns and a touch of the dipping sauce made my knees weak. Yes, it certainly did. I love fried food and especially if they are battered Japanese style. The Miso Citrus Lobster, was amazing! It was a grilled green Western Australian lobster served in a miso citrus sauce on a bed of steamed vegetables and wafu thermidor sauce. Remember when I mentioned Japanese cooking and perfection earlier? 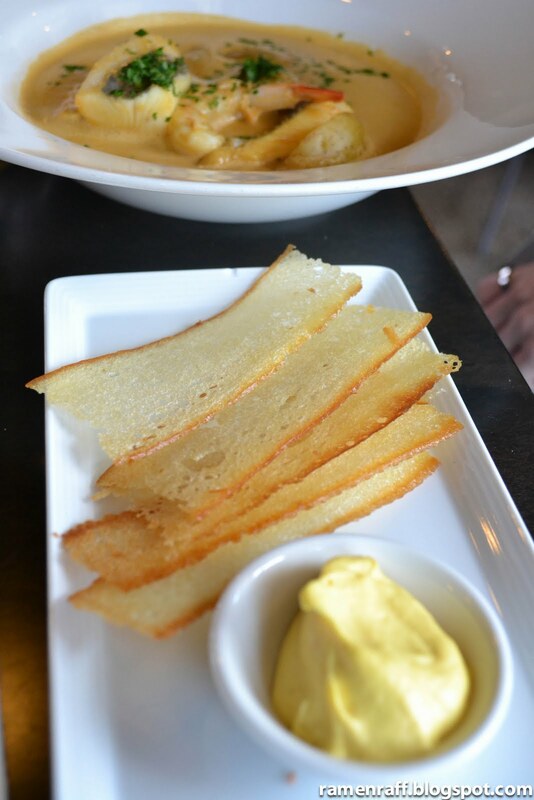 You can taste the perfect harmony of the sour citrus and creamy taste in this dish. The sauce brings the best out of the lobster. The Vodka Lemon Sorbet was a good break from all the above. Again, the alcoholic kick of the vodka was well balanced with a lemon taste and it was very soothing to my liking. The Wagyu Hot Rock was great. It came out as a self-cook type dish. A hot rock in the middle, with cubed slices of raw Wagyu beef, mushrooms, dipping sauces, salt and pepper on the side. The Wagyu beef experience starts once we placed the cubes of meat on the hot rock. The sizzling sound started feeding my sense of hearing and the sight of it cooking got me excited. 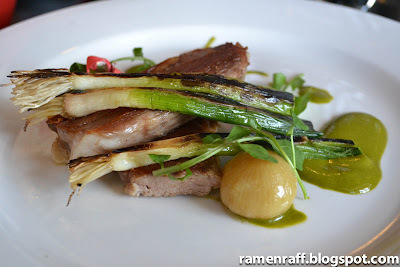 Upon tasting the beef, my taste buds where suddenly in awe with the high grade flavour. 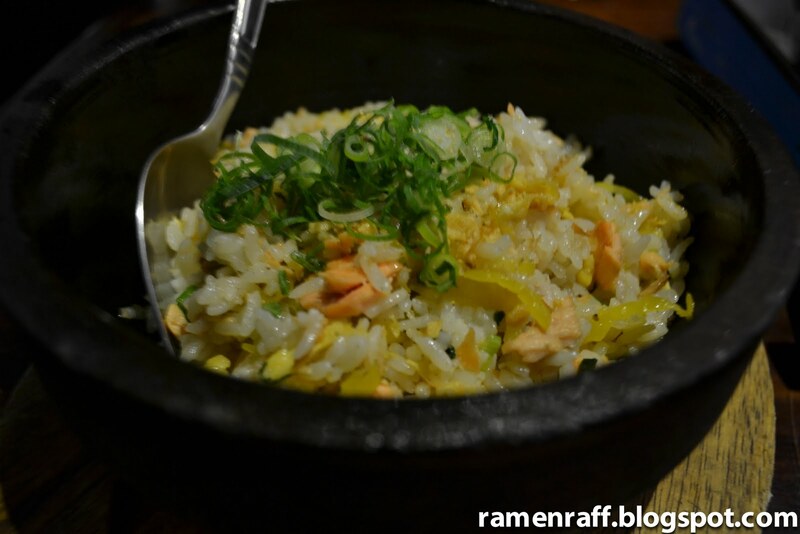 The Ama Ozen is a perfect finish to the Perfect for Two menu. 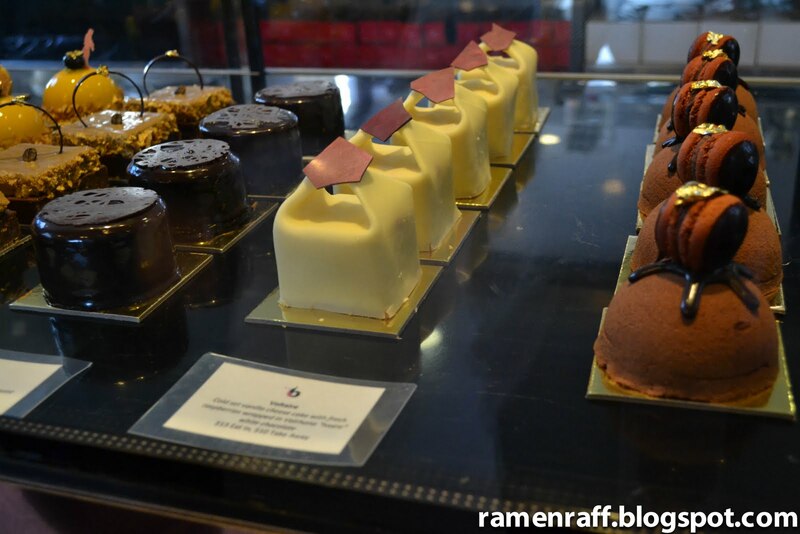 It is Kobe Jone’s famous selection of dessert samplers with their trademark chocolate chopsticks. My favourite was the Green tea crème brûlée with a classic taste of a crème brûlée and a hint and color of green tea. 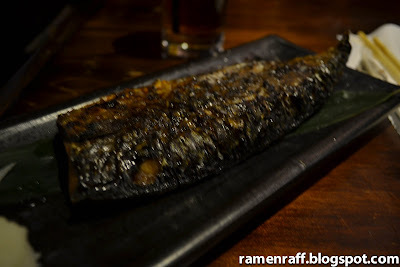 I will definitely go back to Kobe Jones and try their other dishes. Next time, a bigger serving of the Green tea crème brûlée is my mission for dessert! Kobe Jones, your food is very Yummy for my Tummy!